A good Samaritan helped a lost little girl who was found wandering near the zoo as officers attempted to find her family. UPDATE: A bus driver helped block traffic as a good Samaritan (identified as Debbie) took a lost little girl nto her home and called APD. 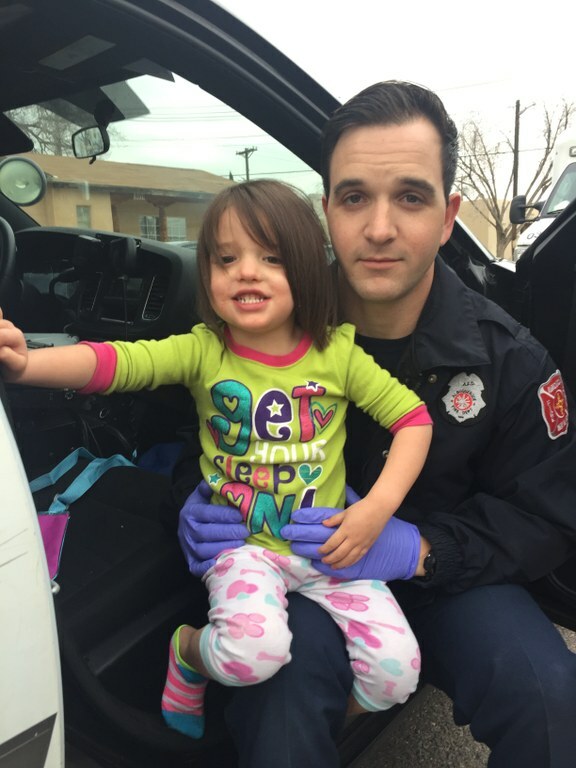 The little one was found wandering in the area of Stover and 8th Street Monday, February 13th around 3 p.m.
Once officers arrived, they searched the area for the girl's parents and anyone who might know the child. After posting the child's picture on social media and in the media, teachers and a relative recognized the little girl and called police. After about four hours of searching, the child's family was located. Officers have interviewed her mother who said she left the 3-year-old with her uncle who was sleeping at the time. We are still investigating, and will work with the District Attorney's office to determine if charges will be filed. We would like to thank the community for all of your help. We would especially like to thank the good Samaritan who kept this little one safe while we searched for her family.